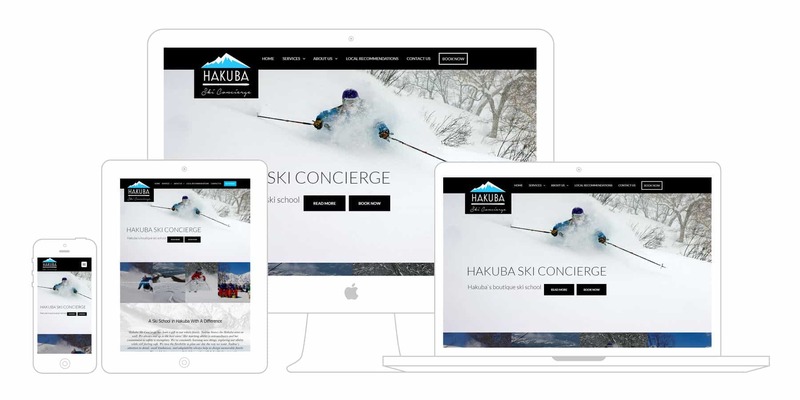 Welcome to Hakuba Digital. 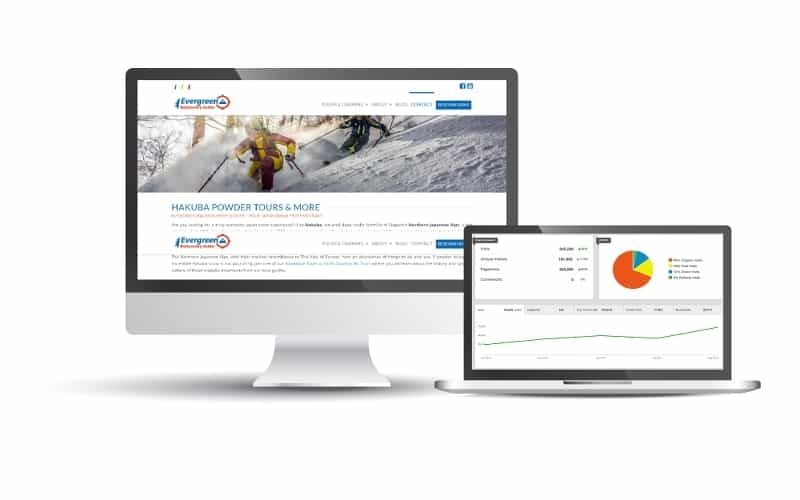 We provide custom digital solutions for tourism-focused businesses through the entire sales funnel. From simple, clean websites optimised to convert, to getting your business found in Google, to cutting-edge digital marketing campaigns – talk to us first. After years focusing on tourism we understand the industry & clients, as well as your own business goals & needs. With professional experience in tourism, web design, SEO and Digital Marketing you are in good hands. We keep in touch and Jade is personally available to answer your questions and help out in any way possible. 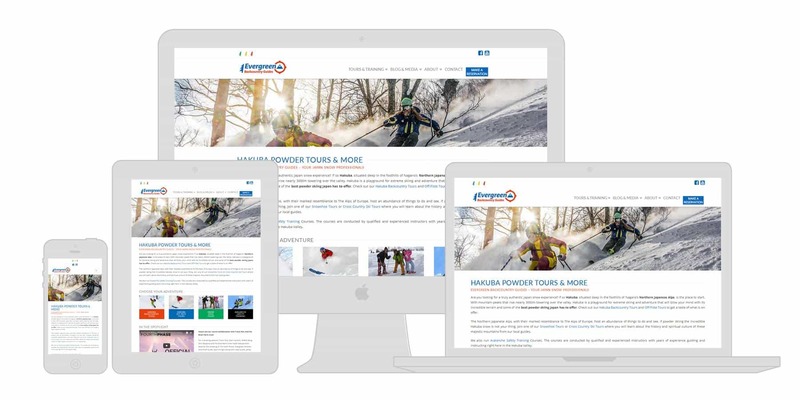 With years living and working in Hakuba, and a number of successful clients, welcome to everything you need in an (English-language) web design and digital marketing agency. 日本語でもまぁまぁ大丈夫。We build multi-language sites all the time. 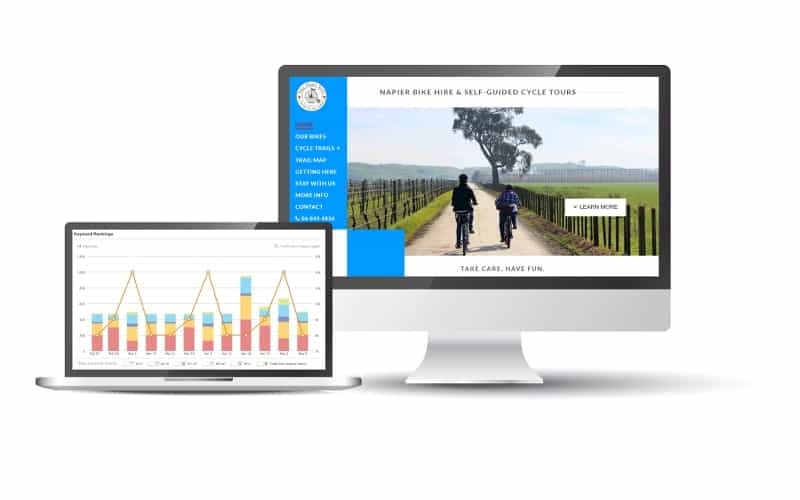 From our base in Hawke’s Bay, we help businesses in the New Zealand tourism industry create engaging, responsive websites, rank in Google and generate more sales online. Feel free to reach out and get in touch. We love tourism as much as you do. 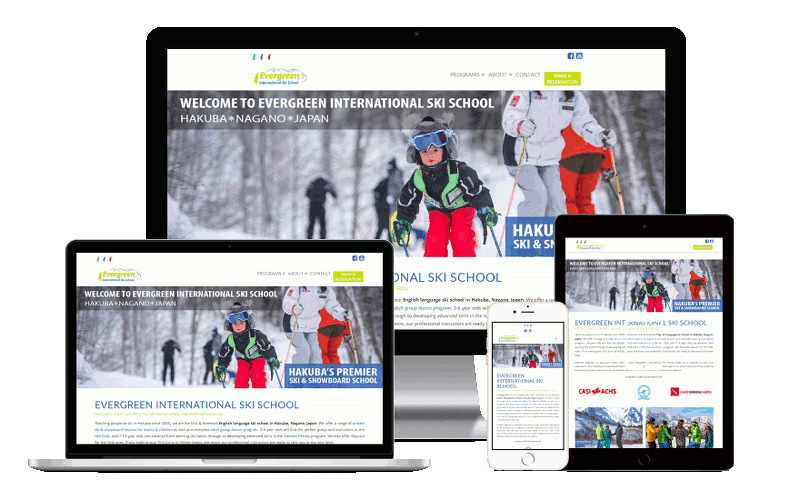 Located in Hakuba Japan, Evergreen Outdoor Center has grown over the years to offer numerous products including a range of summer tours, international school camps, a major international ski school, ski and snowboard instructor courses, backcountry programs, avalanche safety training and more. 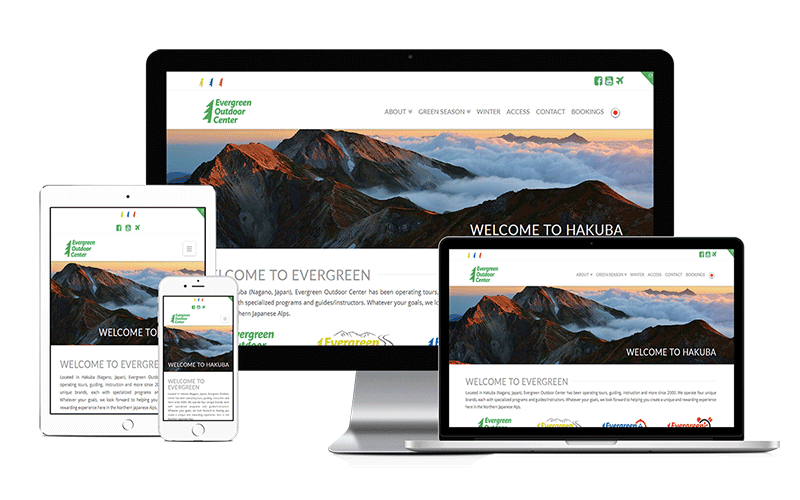 After originally helping them shift from a static site to a responsive mobile design in 2015, Hakuba Digital has worked with Evergreen over 2016-2017 to separate the products into 4 unique websites, aid the user experience for new and existing clients, and ensure the sites rank for their relevant keywords. Additionally, with Evergreen being a multi-language business, we have worked with Evergreen to build out the sites to have multiple languages including English, Japanese and Taiwanese. With years of experience working in and with tourism companies we know what matters to you and to your guests. 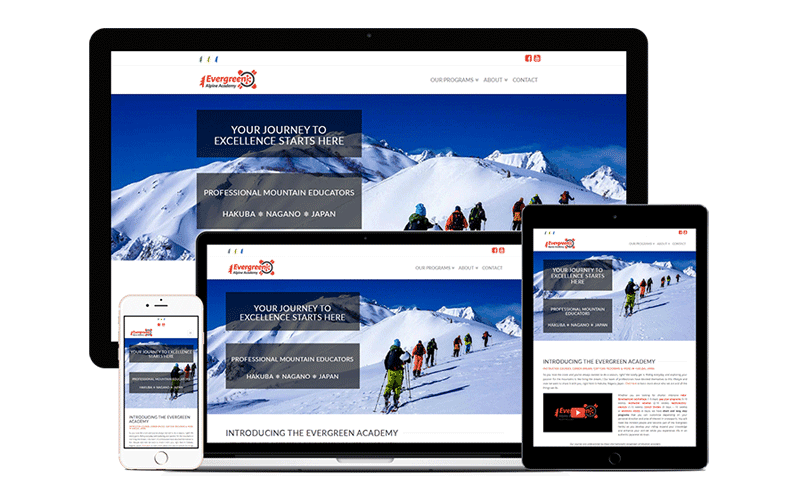 Maybe you are a local tour operator who needs a dynamic site that will get found in Google and convert visitors to clients. You might even be interested in advertising online to generate more leads. We’ve got you, with years of experience working with businesses just like yours. 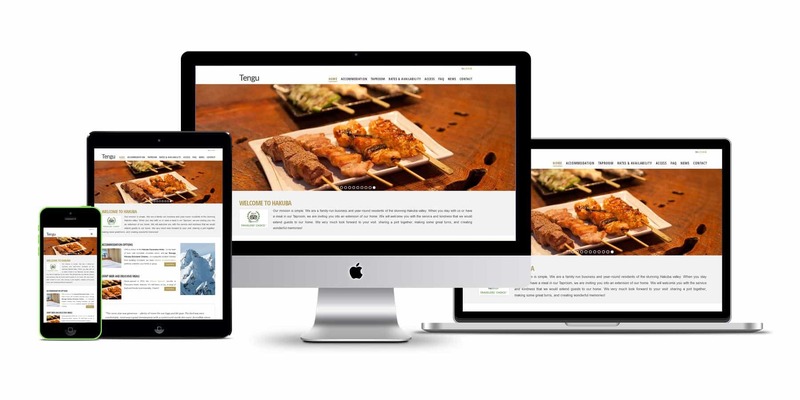 Maybe you are an independent accommodation provider who gets most of your bookings through OTAs and just needs a modern, responsive website that represents your brand, showcases your unique qualities and connects with your booking software. We are here for you too. Jade has worked with accommodation providers across New Zealand, and understands the industry well. Highly professional, excellent service. I have personally known Jade for approaching 8 years and wouldn’t hesitate to recommend his services for a second. Truly skilled at what he does, he goes above and beyond to deliver the website that you have envisioned for your business. 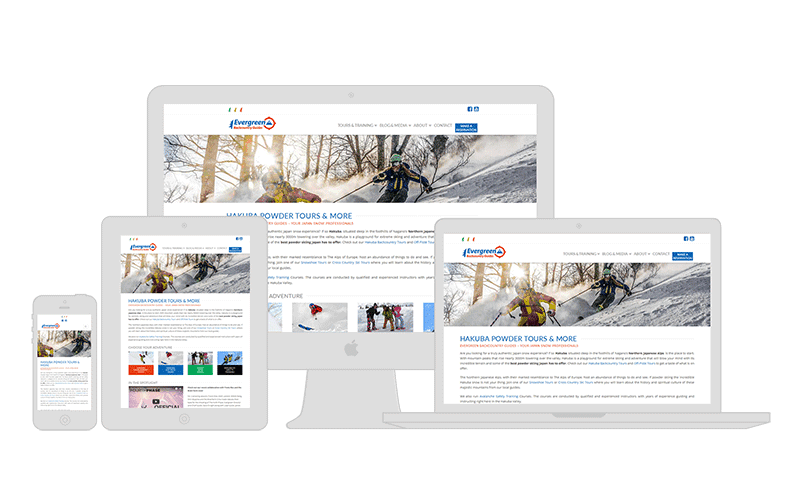 I was over the moon with the re-design for my ski school, and will be for a long time to come. Jade was very professional throughout the process of creating our new website. Planning, design, and adding in our applications went very well and he seems to be a master of SEO and working out how to be well ranked in searches. With Jade you get more than a website ninja, he’s like hiring a consultant on your overall internet presence. Highly recommended! Whatever it is Jade does, it works. I haven’t been this busy – ever. My site is on Page 1 for all the keywords we focused on. And my guests say the site is super easy to navigate and book with. I’ve had nothing but positive feedback – people reaching out take the time to say, “your site is so easy to use, thanks for making it simple to book”. It’s great for me and my guests. Get the strategies we use everyday to help increase bookings online.